INC 500 company, Deloitte and Touche's Technology 500 company, Tampa Bay Fast 50 Company. 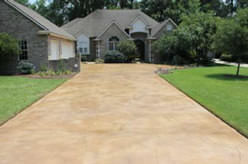 CTi's Product line is an easy to use resurfacing system for existing concrete. 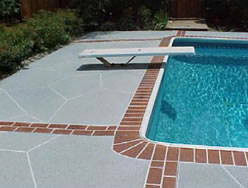 This unique polymerized acrylic cement provides the homeowner with a look and texture of inlaid brick, tile, slate, marble or even a look that is one of a kind. 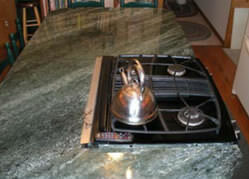 The CTi product lines require no construction or trades related background to install. 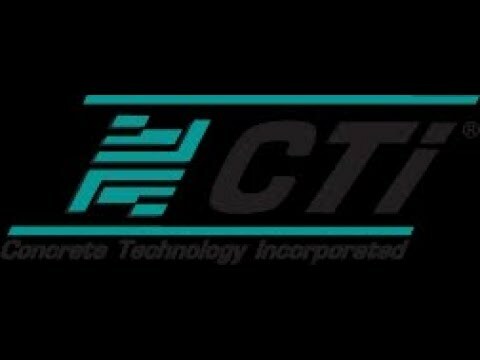 CTi Dealers provide these products for a cost that is substantially less than the industry standard products and is competitive with tearing out and replacing the unsightly concrete while providing substantially higher profit margins. CTi provides its Dealers with an outstanding combination of initial training on its main product lines along with ongoing training via videos, the Internet, Dealer meetings and other venues. This, along with our award winning support, means you can build a business on your own but don't have to feel like you're alone. Our training, combined with a home based business setup, provides the Dealer with a high margin, low overhead, easy to run business. In addition, CTi's business relationship of manufacturing the product line our Dealers use, along with not charging any other fees, means that our success is directly tied to the Dealers. This relationship has created a culture of innovation and success for both CTi and its Dealers since 1992. 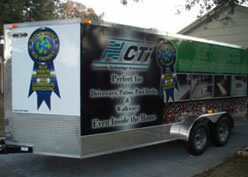 CTi has a straightforward process for educating a prospective Dealer about our industry. Our Dealer Advisors will walk you through an information gathering process that will answer all of your most commonly asked questions. Once you're satisfied that this is the right business for you; registering for one of our training seminars is the next step. This training is designed to give you a detailed look into our product line, our business model and how CTi supports its Dealers. When you have all the information, we will then put together a Dealership package that backs your initial investment dollar for dollar. There are no fees, or other charges other than the product, equipment and marketing material you'll need to effectively start a Dealership in your area. 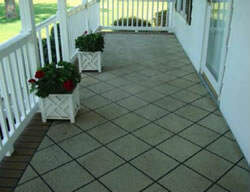 CTi - Concrete Technology is currently accepting inquiries from the following states: Alabama, Arizona, Arkansas, Colorado, Connecticut, Delaware, Florida, Georgia, Idaho, Illinois, Indiana, Iowa, Kansas, Kentucky, Louisiana, Maine, Maryland, Massachusetts, Michigan, Minnesota, Mississippi, Missouri, Montana, Nebraska, Nevada, New Hampshire, New Jersey, New Mexico, New York, North Carolina, North Dakota, Ohio, Oklahoma, Oregon, Pennsylvania, Rhode Island, South Carolina, South Dakota, Tennessee, Texas, Utah, Vermont, Virginia, Washington, Washington, D.C., West Virginia, Wisconsin, Wyoming.